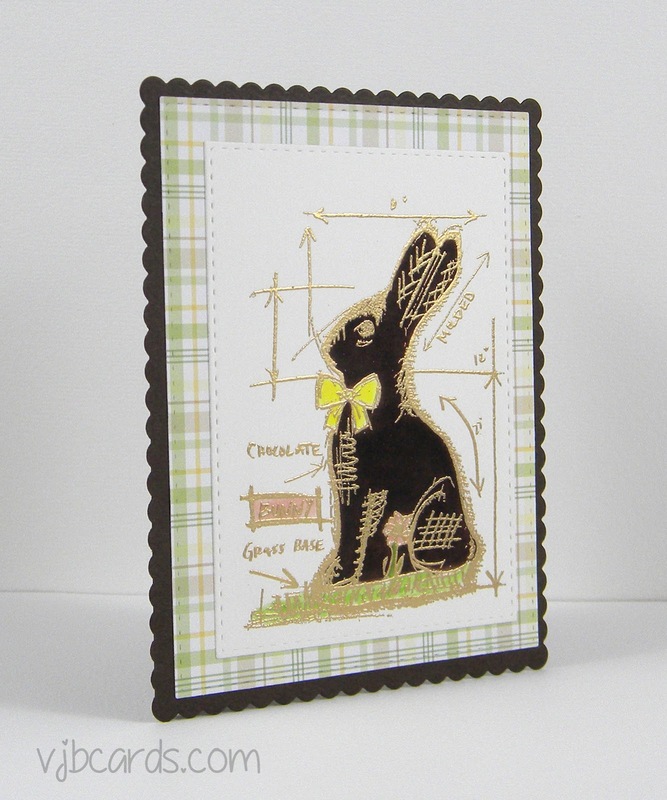 Wow, I can't believe Easter is just a few days away and I haven't posted any of the Easter cards I made. 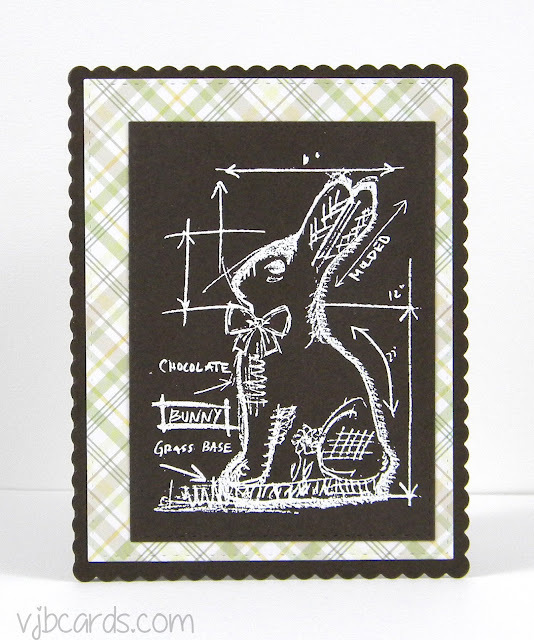 Here are two that were made using one of the stamps from the Tim Holtz Easter Blueprints set. I've had these stamps for several years and thought they needed to be used one more time. The first card was stamped and white heat embossed. 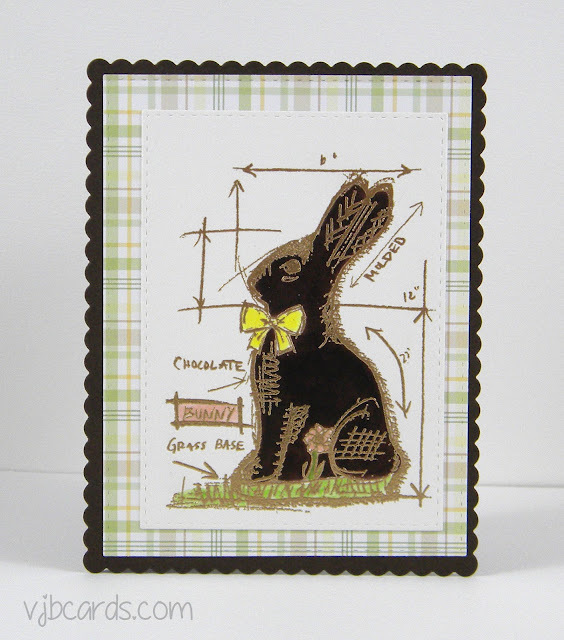 This next card was stamped, heat embossed in gold, and colored with Zig Clean Color Real Brush Markers. You can see the gold shine a little better in this photo. Supplies used also include paper from My Favorite Things Subtle Plaid 6x6 pad, Brown Cardstock from Gina K, and the Avery Elle Sweet Scallops Die Set.